Steritech was recently requested to perform Australian Biosecurity approved Gamma Irradiation treatment on some extremely important soil that had travelled from the fields of Flanders to Sydney and then on to its final resting place at the Australian War Memorial, in Canberra. Here’s why this particular soil is so important and why it helps provide an understanding of the sacrifices our Diggers made to make Australia what it is today. The Flanders Memorial Garden contains soil taken from the battlefields and war cemeteries across Flanders. Prior to arrival at its final resting place in the memorial garden, the soil from Flanders needed to pass Australian Biosecurity import conditions. 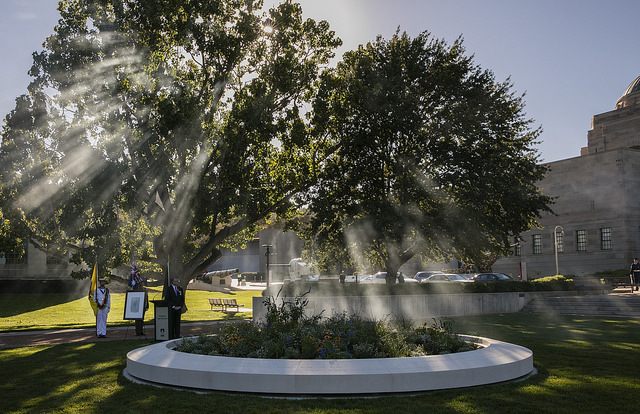 Working in conjunction with the Australian War Memorial, Steritech Pty Ltd treated the soil with Gamma Irradiation to ensure it could continue its journey to Canberra. The soil was mixed with soil collected by the Returned and Services League from significant military heritage sites in each Australian state and territory.